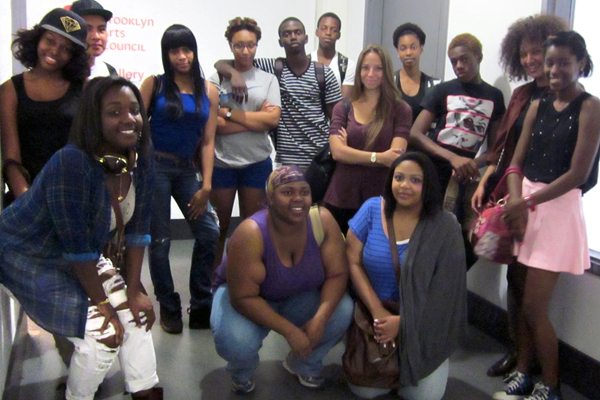 Red Hook students attend class at BAC in DUMBO. Photo: BAC. This summer, 38 young adults participating in “PhotoVoice” have been exploring photography as a means of visual storytelling. 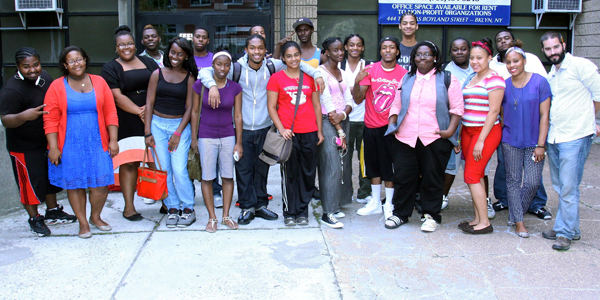 Through funding from the New York City Mayor’s Office Center for Economic Opportunity, and in partnership with the Red Hook and Brownsville Community Justice Centers, BAC is working with teaching artist Brenna McLaughlin as well as teaching artists Russell Frederick and Sam Barzilay from United Photo Industries (UPI) to provide 2 participatory photography residencies. The artists have taught technical skills in photography while also sharing the historical and social context of photography with a focus on social justice. Participatory photography gives youth the opportunity to connect in a visual dialogue that often excludes them. This project engages students through a series of workshops and class critiques, empowering students to craft visual stories from their own unique perspectives. Each student selected their final projects to engage the public on topics that inspire or concern them. In addition to exhibits in their neighborhoods, student work will be exhibited alongside professional artists from around the world as part of Photoville in DUMBO from September 19-29. Student artwork by Monica Hawkins (left) and Keson Simon (right). Brownsville students. Photo: Russell Frederick.